The Nintendo Switch is an excellent portable console, and among its most advertised features, like the ability to play games on a television or kicked-back atop a random surface, is the ability to download AAA first-party titles straight to the console. There's one caveat, however: the Switch only has 32GB of on-board storage, and as we learned shortly before the release of NBA 2K18, some Switch games require more storage space than the Switch ships with, necessitating the need to purchase additional storage in the form of common microSD cards. While many players might find that a simple 16 or 32GB card will suit their needs just fine, many others will find that one card simply won't cut it. Unfortunately, higher-capacity cards, like this Samsung 128GB microSD card on Amazon, cost more than most players would like. This problem is compounded by the upcoming Nintendo-endorsed Hori memory cards, which currently run for a staggering $56 on Amazon for the 64GB option. Luckily, there is a much more cost-effective solution: instead of buying one gigantic microSD card for all of their games, players can simply shuffle around a few lesser-capacity cards, like these Sandisk 32GB SDHC cards, which currently sell for $12.99 on Amazon, or even use old microSD cards they might have sitting around their homes. The option to re-use old microSD cards is both cost-free and environmentally-friendly, and swapping out memory cards with the Switch is a very simple procedure. Here are the details players should know. There are a few different varieties of microSD cards on the market, each of which being offered in either SD, SDHC, or SDXC varieties. Though these seemingly garbled letters might be a little offputting, players should remember that essentially any microSD card is compatible with the Nintendo Switch. Even older and lower-capacity cards, like the 4 or 8GB variants that mobile users might have sitting around from their old smartphones, will work just fine. Getting into specifics, SD refers to Micro SD cards with a capacity of up to two gigabytes. Likewise, SDHC refers to High Capacity microSD cards that range from four gigabytes up to 32GB storage. Lastly, SDXC refers to extended capacity cards capable of storing 64GB or more. The only requirement that Nintendo suggests is that the microSD card used in a Switch should be UHS-I compatible. This phrase refers to cards in the Ultra High Speed Phase 1 range, having transfer speeds between 60 and 95MB per second. Fortunately for players, essentially every modern microSD card on the market meets this requirement, and that includes each and every microSD card linked to within this guide. The process for using multiple microSD cards with a Nintendo Switch system couldn't be any more simple. 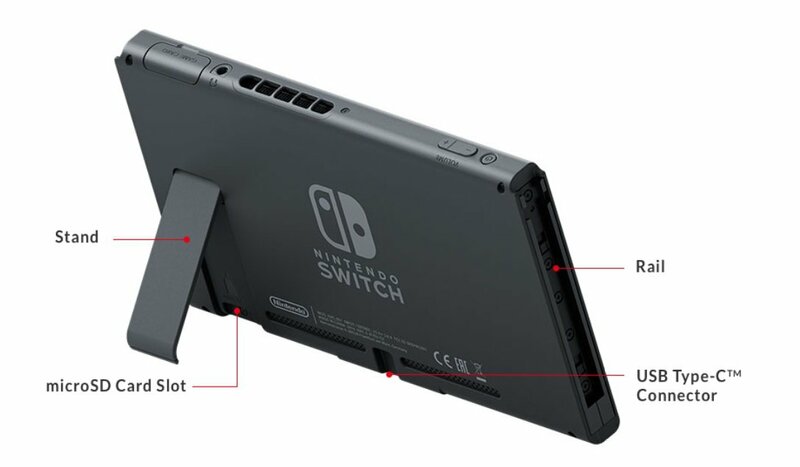 Any player who has gotten a detailed look at a Nintendo Switch has found the console's kickstand — it's on the back side of the system, and aside from allowing the Switch to be set atop a surface for Tabletop play, the kickstand also functions as a cover for the microSD card slot. Before inserting or removing a microSD card from the Switch, players need to be sure to fully power-down the system. This can be accomplished by pressing and holding the power button on the top-left side of the console, right next to the volume buttons. Doing so will bring up the power dialog box — from there, choose Power Options, and select Power Off. After a brief moment, the Switch will fully shut down. Be absolutely sure to completely power down the Switch before inserting or removing microSD cards -- failure to do so runs the risk of corrupting any data stored on the card. Once the Switch is fully shut down, flip up the kickstand and insert or remove the microSD card. That's really all there is to it. Players should keep in mind that any games downloaded to other microSD cards won't be available if that specific card is removed — those games will have a little cloud icon on the Home screen to indiciate that they are available for download but aren't present on local storage, similar to the hollowed-out Switch cartridge icon for games that aren't inserted into the system. Pressing A will bring up the option to download them to that specific microSD card. Lastly, for now at least, all game data is stored to the Switch itself, so swapping out microSD cards should have no bearing on save files for any games, be them cartridge-based or downloaded from the Nintendo eShop. Using this method, players can keep any number of downloaded games on-hand potentially without the worry of running out of storage. Even better, many of the best Nintendo Switch cases feature dedicated storage for microSD cards, meaning players should have no problem keeping their favorite content on-hand.